Next we cut the wire with heavy bolt cutters on the 12th square. Since each opening, or "square" is 6 inches, that gives us about a two foot diameter cage when finished. We also use a cinderblock (more easily moved around via rope) to hold down one edge while we work. Be careful when unrolling and cutting this wire - it ain't for sissies! The cut panels are then rolled into a cylinder and affixed to the other side by simply bending the cut wire over the other. We are then ready to pop the cage over our tomato plant. If you're growing directly in the ground, you can remove the lower ring of the cage so that you have 6 inch pokes going into the soil and stabilizing it. But leave the lower ring on if you are growing in pots on top of hard surfaces such as asphalt or concrete. Whichever way you go, you'll need to then use a beefy piece of rebar pounded next to the cage and secured with twine. Note that the cage will NOT hold up on its own after it's laden with fruit and foliage. We pound a 5 foot long piece of rebar two feet in the ground, allowing three feet above ground to attach to the wire cages. We do this every three or four cages, then twine all the cages together in a superstructure of strength! As the plant grows, we push in the growing branches, so that it grows UP rather than OUT of the cage. Go ahead and leave out the leaves - something's gotta hold it up inside the cage. But branches, YES, push those babies in there! 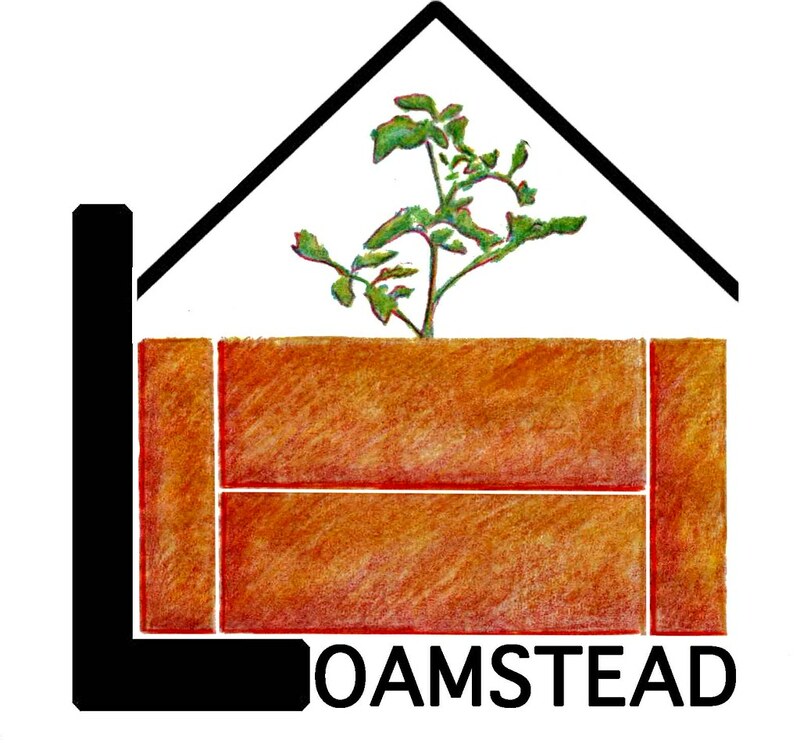 If you'd like someone else to make your tomato cages for you (and deliver them to you), get in touch with Phillip Gatchell of Loamstead Gardening. They make and sell "our" style tomato cages. If you'd like to see our tomato plants growing on the farm, and how we stake them up close and personal, consider coming to one of our Tomato Masters classes, where you'll also learn how to properly plant, fertilize, prune, mulch, seed save and more. Now go forth and cage that soon-to-be tomato monster of yours!